The hospitality landscape is rapidly transforming into a digital and more connected platform, effectively transforming every phase of the guest experience. Be it finding a hotel and reserving a room, completing the check-in & check-out processes, automatically unlocking doors, providing room access, elevating guestroom communications and personalizing your stay, IoT has brilliantly manifested a luxurious atmosphere for the guests in a cost effective way. Along with this, optimization of workflow by enhancing the security and services that fetch whopping ‘5 star Ratings’ is a cakewalk now! Improved housekeeping, reduced waste, and customer loyalty are some of the shining outlines of the smart hotel solutions. 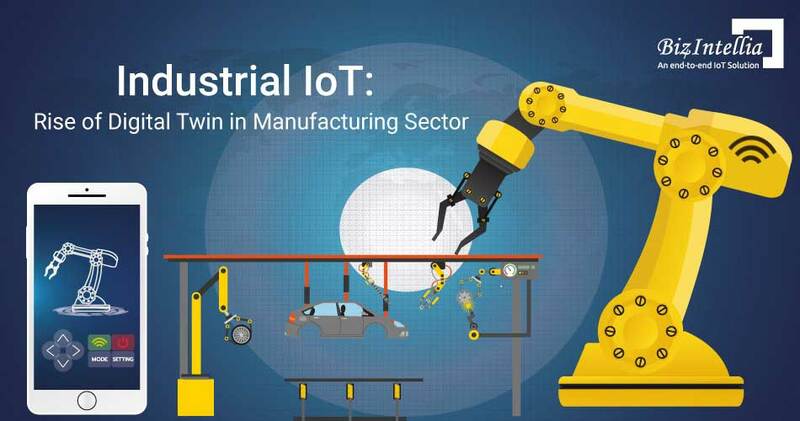 Internet of Things has digitized every operation, boosting efficiency and boiling down costs. It is manadatory for hotels to continue investing in such top-notch technologies to improvise the guest experience, says 64% of U.S. hotel guests after experiencing a luxurious stay. The solution instills superior level of appreciation and guest delight. Smart Hotel Solutions are creating an unbending buzz in the Hospitality Industry, emerging as one of the prominent trends of current days. Clients have started investing in this solution for several different reasons such as enhanced convenience, better personalization in their stay and etc. Before going further, it is clear and crucial to understand what this fantastic solution is all about. Smart Hotel Solution is one that utilizes IoT, also known as Internet of Things. 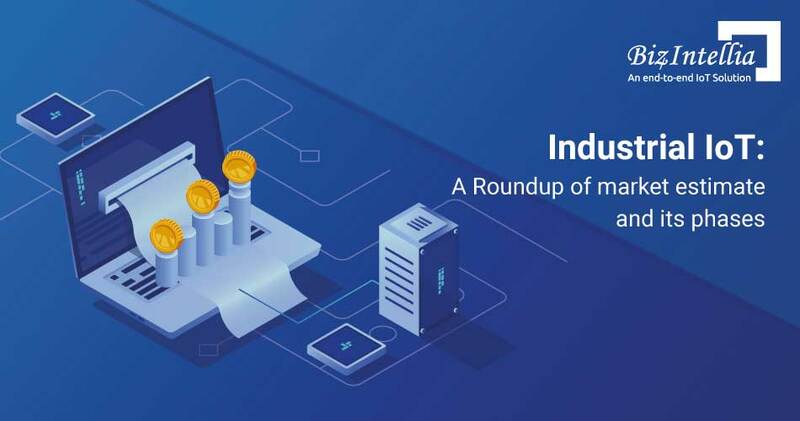 The Internet of Things refers to the billions of physical devices connected with each other via Internet, collecting, sharing and utilizing data to achieve a goal effectively and efficiently. 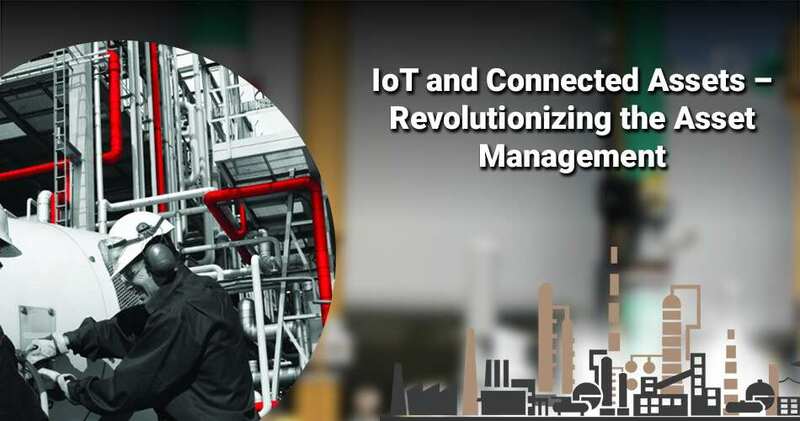 What Internet of Things has transformed is an extended internet connectivity beyond the traditional computing platforms such as mobile devices, personal computers or non-internet enabled devices. These embedded devices transform the information digitally, when connected with each other. In a smart hotel, one can witness several devices connected with each other and transforming information digitally. The solution offers numerous benefits like greater efficiency, better response, in depth automation and many more. With this solution, you can control your room via a single smartphone app. To put a few more examples, a guest can effortlessly adjust heating, cooling, and lighting in the room, through a smart device. One strategy that was voted for making hotels user-friendly was to transform a conventional room into a smart room by installing personalized room controls. 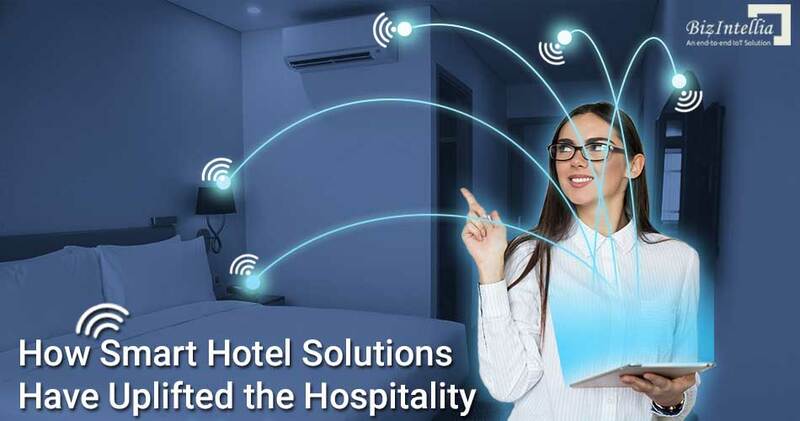 Various devices for controlling heating temperature, AC systems, blinds (smart curtains), TV and more are connected with the IoT capability to the hotel’s systems through a central controller. Example- Smartphone App allows guest to interact with the gadgets in their room and control all the services. Features like voice controlled lighting, turning TV ON/OFF or adjusting the TV volume regardless of where you are in the room, have made a user-friendly atmosphere for guests. In today’s world, people are more focused on energy efficiencies and sustainability. Various hotels have started investing in sustainability and energy management which delivers better business outcomes. Energy management used to be an extremely tedious task, reserved for housekeepers. But with the smart energy management system, occupancy sensors help in better occupancy, sets the original temperature back in empty rooms and completely automates the task, and the motion sensors help in reducing manual dependency. With the smart solution, major savings and improved bottom line for the hotels can be observed. Since energy consumption is one of the major operating costs in hotels, smart solution saves upto 30% of the hotel’s expenses. Example- IoT enabled lighting systems detect the overall light level and turn the intensity of light up/down automatically. In a similar way, IoT enabled heating/cooling systems, get turned off and on depending on the temperature and room occupancy. 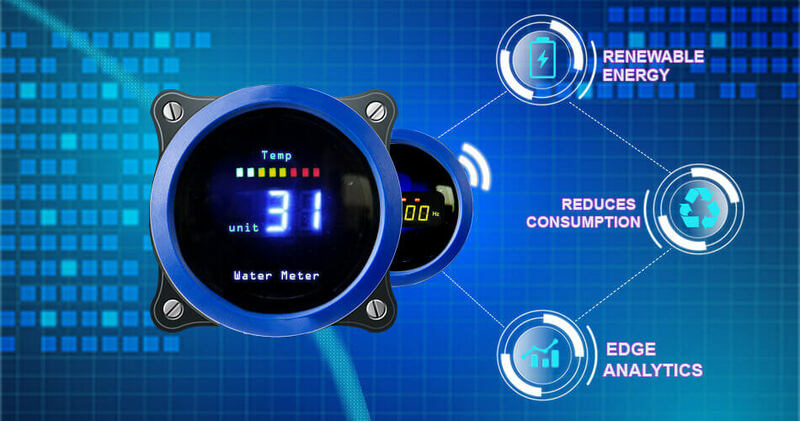 This smart feature noticeably saves energy and money thus making better energy management. User Privacy is a crucial and sensitive subject. Utmost care and attention should be given while collecting their data. It is laudable that some data regarding smart hotel rooms could be collected without disturbing the guest’s personal privacy. Example- Using Netflix or playing any radio station that you requested via smart speakers. A new designed Smart Hotel Solution would collect this data and use it further for making data-driven decision. All such features help in predicting the guest’s behavior, thus simplifying their stay to few levels higher. Because of faster check-ins, check-outs, via his/her smartphone/tablet, one does not need to wait for the services. Not only this, it enables swifter response to guest requests like room services, laundry, lighting systems, etc. Customers need not to worry if they want to make any changes in their bookings as they can do the same with the help of smartphone now. Example- Smart Hotel Rooms can be made more comfortable by using IoT enabled devices which allow greater personalized experience for the guest. Guests can connect their Netflix account with the hotel’s TV, thus giving the guest an overall amazing experience during their stay. 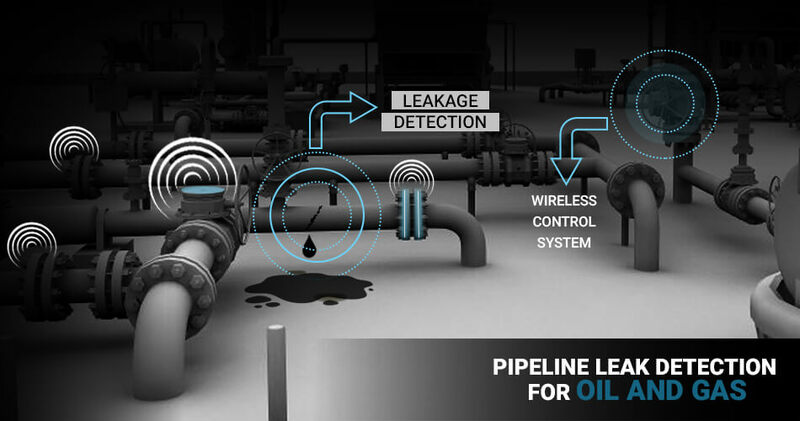 Real-time communication gives an optimum solution when maximum integration is involved. Smart features save numerous everyday time-consuming hours of the features. Many hotels like Hilton, Marriott and more have adopted this technology and installed new IoT devices in their guest rooms such as smart keys, lighting automation, voice assistants and many more. These smart features have become tremendously popular among the younger generations, thus shooting the hotel’s productivity level. Traditional systems with late updates used to decrease productivity thus making a huge impact on the decision-making process of the organization. Example-With the adoption of the cutting edge technology like Internet of Things, guests need not to carry keys anymore for unlocking their room. Instead, guests can now access their room with the help of smart keys, offering them a satisfying experience with lower cost and high productivity. With the available IoT products for Hotel Industry, you can give your guests a memorable experience while decreasing your everyday expenses. It is known from recent studies that hotel industry will put more emphasize more on regional arts and local traditions, thus offering a genuine and memorable experience for their guests. Hoteliers have also started paying more attention to the fitness and healthcare of the guests, thus integrating smart fitness equipment into rooms itself.